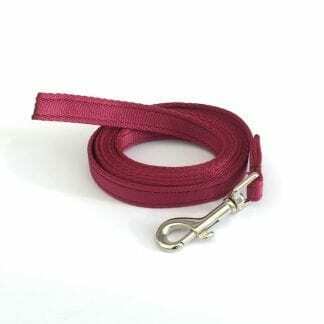 The Car Boot Lead for dogs is a short double ended adjustable car lead. It prevents your dog from jumping out of your car when a door is opened. Are you looking for a travelling solution for your dog in the car? Look no further. Our Car Boot Lead for dogs is an important factor to consider when travelling with your dog in the car. 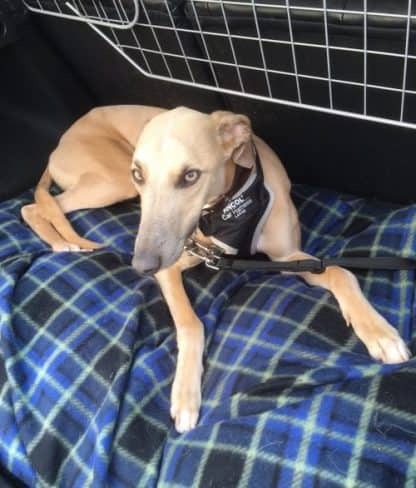 Many dogs are lost because they were not secured safely and correctly in the boot of a car. It is so much easier to open your boot and see your dog safe and waiting to be unclipped. 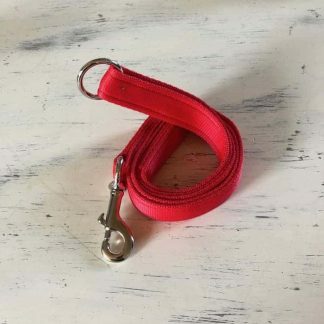 The Car Boot Dog Lead for dogs was originally designed around the very real dilemma of opening doors and boots of cars and your dog jumping out. The reality of dogs being taught to wait is not common practice. It should be noted that unless you have a dog guard, your dog may still jump over on to the cars’ back seat. Please practice safety and common sense when using any dog lead where risks can be present. When in a vehicle make sure dogs or other animals are suitably restrained so they cannot distract you while you are driving or injure you, or themselves if you stop quickly. A seat belt harness, pet carrier, dog cage or dog guard are ways of restraining animals in cars. I have always been one for having ‘that special bag’ for doggy travels. Here I share my secrets about successful short and long car trips with your dog. What should you take with you while travelling in the car with your dog? Prepare your doggy travel dogs days before. Make sure the car is kitted out with their blankets in their travel area. Fresh water and sturdy containers to replenish the water. Bowls, preferably the fold flat ones. Even small dogs can benefit from the small fold flat bowls. A good quality car harness or a car lead, plus spares. Any medications that your dog might be on. Emergency telephone numbers for the vet. Leave numbers at home for anyone that might be caring for your pets that have had to stay home. Plan the route so you know where you can safely stop. Make sure there is two of you so one can take care of the dogs while the other take toilet breaks, gets food etc to avoid leaving them alone in the car. Poop bags, don’t leave without your poop bags! Be sure to take plenty plus a spare sturdy bag in case you can’t bin them straight away. A spare collar and leash, one for each dog. Copies of vaccination cards, even if on your phone. Grooming kit, to include a tick remover. Small medical kit including bandages and vet wrap. A suitably sized soft fold flat cage. Personal items such as a favourite toy. A bag or a tub for all of the above items to be stored in. ID photos of your dog in the event of the unthinkable. Make sure their microchips are checked for location (on the dogs’ body) and that the details are up to date. Try not to feed large amounts immediately before you travel with your dog. Plan ahead for toilet and food breaks. Never allow your dog to sit on a car seat without a restraint, they could jump on you or get under the pedals, and god forbid there is an accident, your dog could escape. Plan ahead for breathers to just get out of the car and take a break to stretch kegs etc. Be aware that your dog cannot ask to go out for a potty break like they would at home. Be aware of nearby vet clinics. Never ever ever ever leave your dog unattended in a car and certainly never leave them in a hot car. keep windows closed or open a safe amount so they cannot jump out. When stopping in strange places always have your dog tethered in the car so they cannot escape when you open doors or the car boot, even better use a crate for our dog. Be aware of their needs whilst travelling as it will be strange for them and not all dogs like travelling in cars. Design Application Number: 6023644 15 December 2017. This Car Boot Lead was designed by Sarah Gleave in 2009 and registered as above. We used the car leads for the first time today, brilliant, just what we need to stop the dogs from jumping out as the boot opens. Thanks. VERY satisfied with my car boot leads and service. Meg Heath Dog Leads breaks the mould. I was frankly stunned by the high-quality material and the sturdy fixings that the lead came with and I cannot recommend these highly enough. Very happy with my car boot lead. We looked for ages at a safe way of securing our Dalmatian in the back of our car; he’d outgrown the back seat (and we were tired of the hairs!) and we couldn’t seem to find a grill or bars to go between the boot and the back seats that would fit and look decent. After a fair bit of research, we found the best product to be the ‘car boot safety dog lead’. It’s simple yet really effective, a good quality, and aside from adjusting it the first time we put him in, we’ve not had to adjust it since. The dog is now comfortable and more at ease in the boot (resting his head on the back seat centre headrest!) and what’s really good is that when we open the boot to get him out, we know he’s secured (especially being a puppy) and that he’s not going to jump out when we take him out in the car park at the vets, or alongside busy roads when he needs a rest stop on long journeys. Both of our cars have hoops in the back of our cars (standard for VW maybe?) which we can attach him to on either side in the boot, but I know my parents’ Citroen C4 doesn’t have anything secure to attach to in the back, one to check before buying. I’ve read somewhere about securing them via a harness rather than a lead to prevent damage to the dog’s neck should you need to brake sharply in an emergency. To date, we have only attached it to his collar so shall rethink this. We found the price affordable and reasonable for the quality. I can’t understand how these aren’t available to buy in pet shops yet! We shall certainly be planning on getting another so we can leave one in each car rather than taking it out to swap. Thanks for having the initiative to create this product that is surprisingly difficult to get hold of! I am really pleased with the car boot lead that I bought from Meg Heath Dog Leads. It is very well made and strong and has solved my problem with keeping my rescue dog, Odie, under control in the car. I have used it in a slightly unorthodox way by attaching it to the boot side of my rear car seat and passing it through the seat to attach to Odie’s harness while he is on the back seat. It works beautifully and is so much better than attaching to harness via the seat belt, because Odie fidgets so much he was getting himself tangled up between the harness and the seat belt – no such problems now! Delivery was really quick and communication excellent. I would definitely buy from Meg Heath again. Very happy with purchase – prompt delivery and the Boot Safety Lead works great, recommended.. Thank you for your quick despatch of our 2 car boot safety dog leads. They are very well made and robust. We are now confident that our 2 dogs are safe in the boot. Thanks again. Fantastic product. Dog took to it like a duck to water. Great advise on the website. These are really good for my 2 big dogs who need more room and don’t like being in a crate in the car. I would definitely recommend them. We are very pleased with the Martingale Harness and car boot lead system which works very well for our two yellow Labradors. The combination is much better than our previous set-up. I have purchased extra boot leads with handles so that we can take the dogs more easily from the car without having to detach the initial car boot leads from the headrests. Definitely worth five stars. The product was perfect, just what we needed to keep our dog safe in the car. It arrived promptly and was good value for money. The car boot leads are excellent, the keep the girls safe but allow them the flexibility of being able to move – great product. This is ideal for Rupert. It gives him space to move around and lie down while giving us comfort in his safety when we open the boot. The boot leads were perfect! We have a new car and our dog cage wouldn’t fit so these products were just what we were looking for! Very good product – in fact, cannot buy it anywhere else! One in each car now so we can harness our large dog safely in the back. The leads arrived promptly and were as described. I would like these leads to be a available in longer lengths. 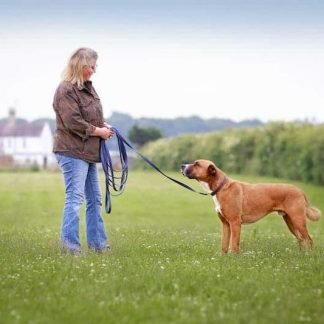 – From Sarah – Hi Gerri, these leads are designed to be short and restrictive so the dog is unable to move around, making them longer means that the design idea is no longer there as the dog will be able to a) jump out of the boot and b) jump over seats and move around which is dangerous. Hope that explains it. I am absolutely delighted with the Car Boot Safety Dog Lead I purchased from you. There has been plenty of thought put into the product and it is just what I was looking for. I now feel confident that my dog is safe and comfortable when we go out in the car. Thank you Sarah , for my Car Boot Safety Dog Lead , Perfect !! Good quality ,great comunication will definatley use again . I use to have a crate in my boot for my Husky but when I got another Husky I knew I needed something else. After looking online at various products I realised this was the perfect one for me. It is perfect, very high quality and adjustable which is essential but a lot of cheaper brands are not adjustable. I am not worried about opening the boot now as they realise they are safe and they don’t jump. Highly recommended. Excellent service, brilliant product, secures my two dogs (Labrador & terrier) in the boot of the car magnificently, thank you. Recently bought a “Car Boot Safety Dog Lead” in a desperate attempt to help control my parent’s very excitable labrador who likes to race out of the boot when it all gets too much. With both my parents and I owning an estate car, it meant that she could jump out of the boot and run off, as opening the boot and trying to grab the lead in time was hit and miss. To my delight, she is now safely restrained and is learning to sit and stay whilst we get her ready to leave the boot. It has made taking her away on holiday/walks/trips so much easier and safer. We are so pleased with the leads, we now have one in each car! Super product, ideal for the car. This is a great idea; it clips from the harness to the extremely sturdy dog guard, and means that if we need to open the boot whilst en route, he won’t jump out into traffic, or in the middle of a car park, or off and away after a sneaky cat. If I’m honest I’m always very wary of taking him places for this reason – particularly when I have two small children to get out as well, and this simple lead is perfect for the job of keeping him nice and secure until I’m ready to get him out. Ideal as I’ve now got 2 of the leads for my 3 year old and 6 month old in my car boot. They’re so strong and love the double clips. Thanks Hayley. Such a brilliant product and really well thought out. It anchors perfectly in the back of the boot, and I’ve adjusted it so my dog is comfortable but secure. Don’t know how we managed without it! I have just completed my second order from your site and I have to say that it is now probably the most user friendly site that I have ordered from. I was afraid that when I put in my home address in Spain it would revert to Spanish and/or euros. It did neither. It also didn’t object when I put in my home phone number as the English one (it reaches me here via Skype) so that’s great as it means that if you do have to contact me, it’ll be at the cost of a local call for you. Then when I put the delivery address as my mum’s in Little Chalfont, not only was there no problem, but it also gave me a space to explain why the different address. It just seemed silly to pay for postage to here when I’ll be coming there very soon anyway. Hi Sarah, Just wanted to say thank you so much, I’ve just received my 2 boot leads, didn’t expect them so quick! Absolutely perfect, Ive ordered from you before and ill certainly be ordering again, think a navy and red collar is next on the cards! Thanks again for a wonderful, helpful and quick service for quality products, keep up the good work! Louise.